When we were pottering around Seacliff beach, which lies beneath Tantallon Castle in East Lothian, we came across a fascinating and delightful feature. Few people know about it, because it’s hidden from view – in fact, you can almost tumble into it before you know it’s there. At the western end of the beach is an outcrop of red sandstone called the Ghegan, which means ‘churchman’s haven’ (an interesting name in itself); and if you clamber up there at low tide, you can look down into the UK’s smallest harbour. In 1890, the local landowner, Andrew Laidlay, used a steam engine and compressed air to slice a rectangular bite out of this lump of rock. Even today, this would be a remarkable achievement. The harbour is only 40 feet long, and the entrance is barely 10 feet across, with a sharp corner to navigate as you come in. You certainly couldn’t get a yacht in here! The water level rises to six feet at high tide, and (as you can see from the photos) at low tide it never dries out. Years ago, it was apparently used by small ‘cobles’ – traditional flat-bottomed fishing boats – but I wouldn’t have thought it was a very big fleet. Either that, or it was a real free-for-all when they came back in! Seacliff is a fantastic place! Quite apart from this cute little harbour, the beach is crammed full of the most wonderful pebbles and rock formations; there are stunning views out to Bass Rock, with thousands of gannets wheeling above it throughout the summer; and if you look to the west, you can see the spectacular ruins of Tantallon Castle, almost crumbling into the water. If you want to see this lovely little harbour for yourself, you need to go there at low tide. Just south of Tantallon, off the main A198, is a lane that leads to the car parks above Seacliff Beach. A coin-operated barrier allows access. Remember to look for St Baldred’s Cave, in a cliff by the car park! You can read more about him here on The Hazel Tree. Isn’t it lovely?! 🙂 It would be fun to go there in a boat! Amazing, I didn’t know that was there! I also love the overgrown ruins of Seacliff House just above the beach. I’m sure lots of people don’t know it’s there – I only found out by reading up about Tantallon, and came across it by accident. I haven’t explored Seacliff House – is it worth a visit? I think there’s another fairly recent ruin on the headland just further down. I am not sure if you can access the house, as it is very ruinous, but magical to look at it from a safe distance. What an incredible thing to do! It certainly looks like a cozy little harbor. I know, it’s amazing! The cutest harbour I’ve ever seen! Haha, I think you will, Lynne! And make sure the tide is out, or else you can’t get to it! Glad you liked the pics! It’s surprisingly difficult to photograph. I have heard about this little beach, Jo, but never got to visit it. And had no idea there was a little harbour nearby. Great post and photos! Thank you, Jeanette! 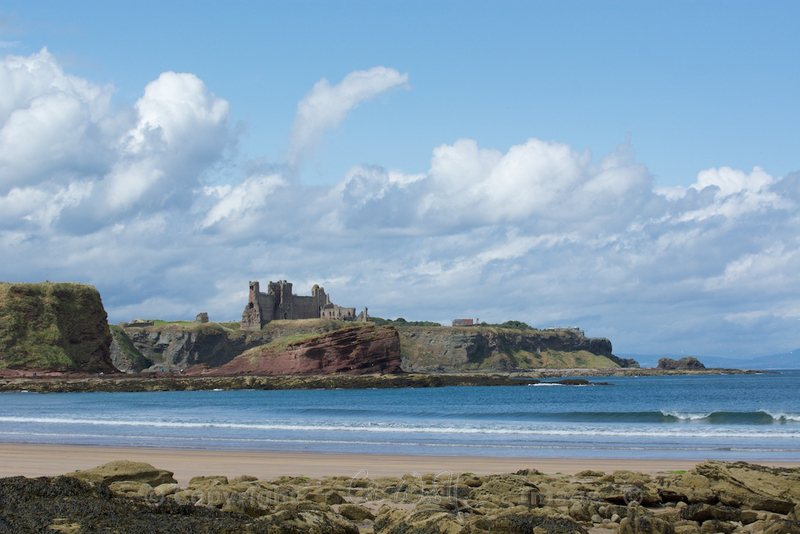 🙂 The beach is so lovely, we only chanced upon it by seeing it from the top of Tantallon Castle and then asking the guides in the visitor centre how to get there. That’s quite the sheltered harbor! Isn’t it lovely!? 🙂 I love finding places like this. How extraordinary, I had no idea this existed. I think I’d be a bit nervous taking a boat in there, but it looks as if it’d be a safe place to shelter. I must get myself down to that beach some day, it sounds fascinating. never knew this was here ! Enjoyed the reading of this article ! Thank you .